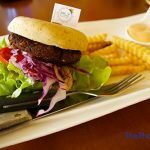 Thailand has a fascinating history, particularly because over many centuries Thailand has adopted many cultural influences from surrounding regions. This has happened through immigration and migration, and through war over territory. From where do Thai people originate? Now, a number of people reading this post may think they know the answer – people usually cite a version of the South China theory. But the fact is that the complexity of the origins of the Thai cannot be encompassed by a simple, straightforward explanation. In fact, there are multiple theories (six, to be precise) on where the Thai originated. I'd love to give you a definitive answer in this post, but that would be impossible. However, what I can do is try to make sense of the dense historical and ethnological background of the people of Thailand, and give you all the information you need to come to your own conclusion on what seems most plausible, according to the evidence. 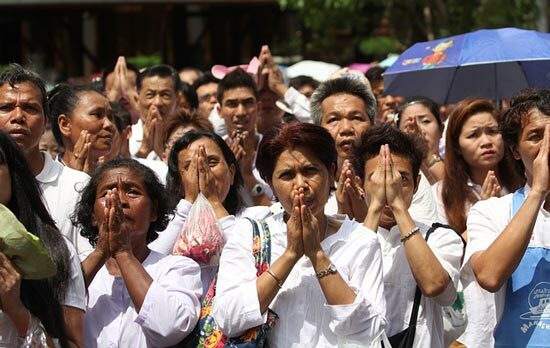 As you probably anticipated, the people of Thailand are largely referred to as “Thais,” referring to both the country’s citizens and the ethnic majority, who are also related to the ethnic Lao people (in neighboring Laos). The country is home to 75 percent Thai, 14 percent ethnic Chinese, four percent Malay Muslims, one percent Khmer (Cambodian), one percent Kui, one percent Karen, and .4 percent Indian and Pakistani. There are roughly 20 million Lao-speaking-Lao-Isan people who live in northeast Thailand. Thai-Isan people are often considered culturally distinct from those found in central Thailand, some considering them closer to the people of Lao. This is an over generalisation, though, and has more to do with geographical proximity than descent. There are many people originally from central or southern Thailand living in Northeast Thailand who speak the regional dialect. Indeed, there are parts of northeast Thailand where other languages are spoken by minorities, such as Khmer by the Northern Khmer (Thai-Khmer). While people may be considered of Lao or Cambodian descent, they are still part of the Tai group, which we'll get into in a moment. Our quest here is to uncover where the Thai (Tai) come from. Moreover, if we look at Thailand as a whole, we see there are many cultural distinctions in different areas of the country. For example, parts of the the South have a deep-rooted Malay influence, and in the North we see a mix of numerous tribes, many of whom have descended from neighbouring countries along the foothills of the Himalayas. All these people are linked, or so it is thought, according to some theories. 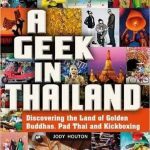 So rather than trying to generalise where a particular group of people in a particular area of Thailand have descended from (originally), we are trying to identify a common heritage between those whose families have lived in Thailand, and indeed the immediate surrounding region, for many centuries. And interestingly, as you'll note in the next section, the history explains how these different sub-groups are tied together. Genetically, Thai people descend from the Tai ethnolinguistic group (speakers of a common Tai language who are also found in other Southeast Asian countries and in China). Thought to originate from northern mountains (though we’ll discuss this in depth later), it’s assumed that the group migrated into modern-day Thailand and Laos, where its people settled, using their extensive agricultural intel to cultivate rice. These first communities bordered river systems at the country’s tip, but over the years, the ethnic group migrated to Thailand’s central plains, supplanting the existing Austroasiatic population. As the Tai group spread, so did their language, becoming the mother-tongue of both Thailand and Laos. 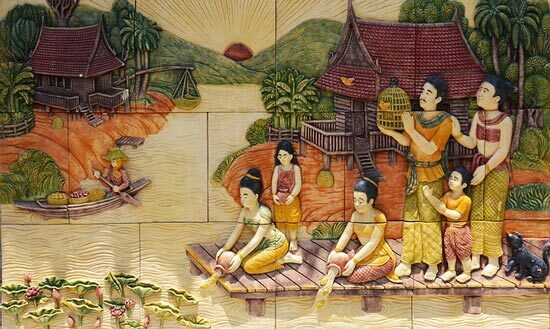 As the group settled in different regions of the country and started communities, the ethnic subgroups of modern-day Thailand were created. Today, 75 percent of Thailand’s population derives from the ethnic groups that descended from the Tai people, including the Central Thai (Siamese), the Southern Thai (Thai Pak Tai), the Khorat Thai, the Isan, the Yuan, the Assimilated Sino-Thai (Thai with Chinese heritage), and the Assimilated Khmer-Thai (of Cambodian origin). Most of the groups populate central and southern Thailand, due to their original settlement near the Chao Phraya River, which winds its way through modern-day Bangkok. The Lao-Isan call Northern/Northeastern Thailand home, which we discussed above. the Shan live in Mae Hong Son, the Thai Lus in Chiang Rai, the Thai Khorat in Khorat, the Yaw in Nakhon Phanom, the Lao Song in Phetburi, the Lanna in Northern Thailand, the Isan people in northeastern Thailand, and the Thai Oak Tai in southern Thailand. The supposition above may provoke controversy, depending on what you believe about the origin of Thai people. And mind you, there are no less than five theories about the ethnic origin of the Kingdom’s peoples. The Mongolians origin theory was initiated by American missionary W.C. Dodd, who made Thailand his home for 32 years. Dodd believed that the Tai ethnolinguistic group had descended from the Mung people of the Altai Mountains, who had left their lofty dwellings and had migrated to China’s western front. Though his idea was certainly unique, Dodd offered little proof that this theory was correct. Later, a Thai politician named Kun Vichit-Matra snowballed off of Dodd’s predilection, confidently stating that the Tai people’s origin was indeed the Altai mountains, but suggesting that their migration had been rerouted through China’s Yellow River basin and down through the province of Szechuan. Though both are interesting theories, modern-day scholars have debunked them, noting that neither the Mung nor the Tai could have survived a crossing of the unforgiving Gobi desert. In addition, the Tai culture was known for its extensive knowledge of agriculture and cultivation. It seems unlikely that such a civilization would suddenly become nomadic. This theory got its start with linguist Terrien de La Couperie, a Frenchman who had been tasked with the study of ancient Chinese records. After studying the complex linguistic patterns of both China and Thai, La Couperie concluded that the Tai people originated in central China, pointing to the uncanny similarities in language between the Mung people (who represented an ethnic minority in their home province of Szechuan) and the Tai people, who later populated Southeast Asia. Gleaning information from a document from China’s Xia Dynasty, La Couperie claimed that the Tai had originated from an ancient kingdom in China in 1223 B.C. Critics have pointed out that the document La Couperie studied is a replication — not an original — and its information has not been verified, largely debunking his theory in academic circles. Later, Thai Prince Damrong corroborated this theory but suggested that the Tai people settled in the area between China and Tibet in 44 B.C., but were forced into China’s Yunnan province by aggressors. Once in Yunnan, the groups separated into separate tribes; Damrong believed that the Ngiew and Shan populated the west, the “Twelve Tai Tribes” moved to the southeastern tip, and the Lan Na and Lan Chang occupied the south. In the 1940s, Thai theorist Phraya Anuman Raja-Thon suggested that the Tai people originated in central China, as well, but this time in the Yangtze basin, migrating from Szechuan to the east. A contemporary, Phra Boriharn-Thep Tani, argued that the Tai people certainly originated in central China, but then moved to Yunnan and Indochina. Though this theory has been explored extensively, anthropologists point to key physical, lifestyle and cultural differences between central Chinese populations and modern-day descendants of the Tai people. This theory has been largely discredited in Southeast Asia. In 1886, an English explorer named A.R. Colquhoun was certain he’d determined the origin of the Tai peoples, proposing the South China Origins Theory. After exploring Southeast Asia from Burma to India, he proposed that a similar lifestyle and language between the regions made the connection between the two groups likely, if not certain. Spurred by Colquhoun’s proposition, England’s vice-consul to Hainan, Parker, pointed to Chinese lore and mythology to suggest the Tai’s involvement in the Nan Xiao Kingdom in China’s Yunnan province. Adapting this theory, a German anthropologist named Wolfram Eberhard concluded that the Tai originated in Kwangtung, but eventually migrated through Yunnan to Vietnam, founding the Tan Kingdom and then the Nan Xiao. Other theories reflected the belief that the Tai ethnolinguistic group had originated in China’s southernmost region, though their migration paths had all differed. This theory has been discussed at length, and while some sociologists and anthropologists still believe that the South China Origins Theory holds true, it is still hotly debated. The Indochina/Thailand Origins Theory was initially proposed by American linguist and anthropologist, Paul King Benedict. Judging by the fact that Tai, Kadia, and Indonesian speech patterns show surprising similarities, Benedict hypothesized that the Tai originated in Indochina and that it was likely that they were Thailand’s original native group. Benedict then predicted that a group (Mon-Khmer) pushed the Tai into southern China nearly 4,000 years ago, but that they later migrated back into Burma, northern Thailand, Laos, and northern Vietnam between 800 and 1,000 years ago. Though Benedict’s theory is both detailed and extensive, there’s debate about whether or not this theory is grounded in evidence and fact. Researcher H.G. Quaritch Wales attempted to prove that the Tai people had originated in Thailand itself by using skulls he found and studied in Kanchanaburi Province, which dated back to 50 A.D. He compared them to modern-day Thai skulls and concluded that the two were extremely similar, theorizing that the Tai people had occupied Thailand for the past two millennia. This idea was corroborated by Sud San-Vichien, a physiologist who compared ancient bones from Kanchanaburi and Rajaburi provinces with bones from modern-day ethnic Thais, concluding that they were virtually identical. He, too, concluded that modern-day Thailand was the original home of the Tai ethnolinguistic group. To corroborate, archaeologists and anthropologists have found evidence of continuity in culture, tradition, physiology, and civilization. Today, the theory is debated, but it is one of the most popular regarding the origins of the Kingdom’s people. And if you weren’t confused already, the last theory, the Malay-Indonesian Origins Theory, supposes that the Tai group shares a close relation to the populations of Java. Somsak Punta-Sombun, a researcher, determined this after exploring the interwoven relationship of genetics and blood type. He found that ethnic Thai and Chinese people have dissimilar genetics and that there was a much closer relationship between Thai and Javanese civilizations. He even presumed that the Tai group may have lived in Java. Additionally, famed Thai anthropologist and physician, Pravej Vasi, found high blood levels of Hemoglobin E in populations living in Southeast Asia, and in the Tai, Khmer, and Mon civilizations, but he did not find any of the blood markers in Chinese populations. These findings throw a wrench in China-centric theories, and lend credibility to the Malay-Indonesian theory. Despite the varied circumstances of these multiple theories, research states that radiometrically dated artifacts found in the Kingdom’s Central Lampang province push paleoanthropologists to agree that hominids must have reached mainland Southeast Asia before they spread into China and Indonesia, meaning that theories supposing migrations from specific provinces in China might not be as accurate as we think. The Thai origin story may have actually been the complete opposite, with hominids expanding into China and Indonesia from what we now know as northern Thailand. In addition, it’s possible that the Tai group expanded into China and Indonesia to establish themselves in cultures over many millennia — there may have also been multiple migrations over thousands of years, which culminated in the ethnic mix that we see today. In addition, the finding in Lampang would predate the Ban Chiang Archaeological Site, which is presumed by many to be the oldest and most significant prehistoric settlement in Southeast Asia and a landmark that many use to explain important information about the life of the earliest Tai settlers. While information about the origin of the Tai ethnolinguistic group is still developing, these five theories paint an interesting picture of migration patterns within China and Southeast Asia thousands of years ago. 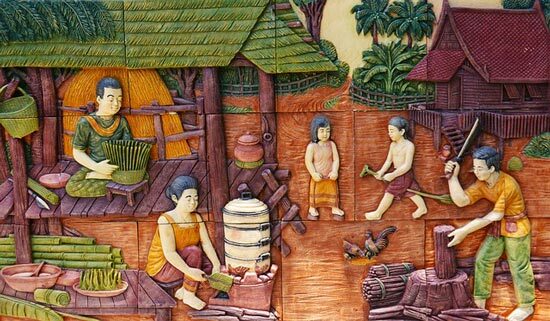 Whether Thailand acted as the cradle of the Tai civilization or whether it became a significant migration site for groups originating in either Indochina, Java, or mainland China, its a country defined by the rich diversity it mothers and the cultural legacy of its people. Having studied all the theories, the only thing I can really conclude is that the origin of the Thai simply depends on how far you are able to go back through history. Though I find it incredibly interesting that hominids may have first settled in what we now know as Thailand prior to going into China. Is it possible that the majority of Thai, Laos, Khmer and Burmese people are linked to these early hominid settlers? Is it possible that they migrated to China, settled there and spread out and created different communities, and then began migrating back into what we now know as Thailand, Lao, Cambodia, and Mayamar, and possibly Malaysia and Indonesia? I have tried to be as accurate as possible in my representation of each one of these theories. If you spot an error or feel there is a misrepresentation, or you have anything else to add to the debate on where Thai people originate from, I'd be grateful if you can leave in the comments section below. It would be fantastic to hear from any anthropologists or historians who know far more about the subject than I do. Paul k. Benedict, not Ruth Benedict. Thanks. I've corrected the mistake. Strange, the source I read cited the American anthropologist and folklorist Ruth Benedict. Reading it again they also alternated between "he" and "she", so I guess they confused her work in Asia with his.